The development of gasification technology takes place in VTT's Bioruukki piloting centre in Espoo, Finland. VTT Technical Research Centre of Finland Ltd has developed a new technique based on gasification, which offers a sustainable way to turn forest industry byproducts, such as bark, sawdust and forestry waste, into transport fuels and chemicals. The new technique reduces carbon dioxide emissions by approximately 90% compared to fossil fuels. 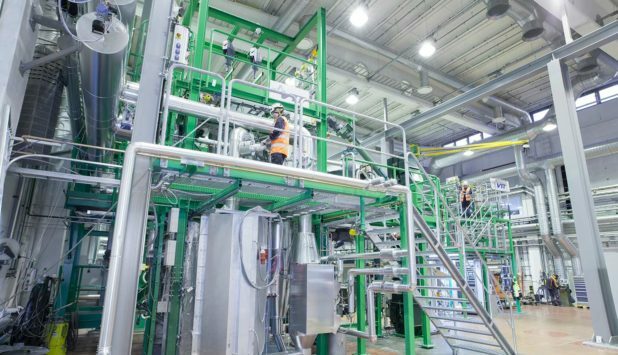 The new approach uses gasification to turn biomass into intermediate products – liquid hydrocarbons, methanol or methane – in production units integrated with communal district heating plants or forest industry power plants. 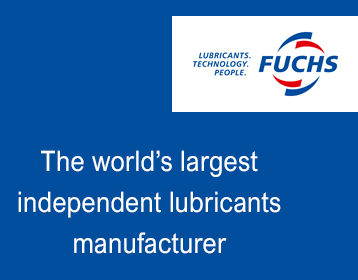 The intermediate products are processed further in oil refineries to make renewable fuels or chemicals. VTT developed and piloted the new gasification process and evaluated the competitiveness of plants based on the technique in the course of a recently concluded project called BTL2030. The distributed generation process developed by the project team makes efficient use of the energy content of biomass. Approximately 55% of the energy content is turned into transport fuels and a further 20–25% can be used to provide district heating or to produce steam for industrial processes. The new technique reduces carbon dioxide emissions by approximately 90% compared to fossil fuels. According to the International Energy Agency (IEA), modern bioenergy plays a key role in building a cleaner and more sustainable energy system. Bioenergy currently accounts for approximately 50% of the world’s renewable energy consumption, and the IEA estimates that bioenergy will be the most rapidly growing form of renewable energy between 2018 and 2023. In the longer term, limiting global warming to two degrees requires, according to the IEA, almost quadrupling bioenergy’s contribution to the world’s energy consumption, from the current 4.5% to approximately 17% by 2060. Bioenergy is needed, in particular, for reducing emissions from air transport and shipping and as a back-up fuel for road transport as more electric cars are introduced. The use of forest industry by-products, such as bark, forestry waste, recycled wood, straw or other biomass as raw materials does not impact on the carbon sink effect of forests, and they do not compete against forest industry raw material procurement or food production. The process is based on VTT’s low-pressure, low-temperature steam gasification technology, simplified gas purification and small-scale industrial syntheses. Thanks to the small-scale approach, the heat generated by the process can be used throughout the year, and the process can be fuelled with local waste. Finland’s previous plans have involved considerably larger gasification-based diesel plants, the raw material demands of which could not have been satisfied with locally sourced waste. Moreover, it would have been impossible to make full use of the by-productheat of the large plants, and their energy efficiency would have therefore been easily less than 60%. “Not one of the large gasification plants of more than 300 MW that have been planned for Europe has been built yet. The almost EUR 1 billion investment needed together with the risks associated with new technology has proven an insurmountable obstacle. The smaller scale of our solution makes it easier to secure funding for building the first plant based on the new technology”, explains VTT’s Senior Principal Scientist Esa Kurkela. The BTL2030 project team estimates that the production costs of transport fuels made from domestic waste would amount to EUR 0.8–1 per litre of petrol or diesel. The new technology is set to become considerably more competitive as the costs of the raw materials of competing technologies increase, and the process is expected to be highly competitive at least from the year 2030 onwards. The project involved mapping out the path from pilot-scale development to demonstrations and commercialising the technology with participating businesses. Even in the short term, the ultimate competitiveness of the new technique hinges on the prices of crude oil and carbon dioxide quotas as well as the taxation of renewable transport fuels. Experts estimate that, in addition to other measures, Finland will need sustainable biofuels to account for 30% of the energy consumption of the transport sector by 2030. Supplying half of this demand with domestic waste would require 5–10 locally integrated energy production plants. The 3.6% target set for advanced biofuels in the European Commission’s Renewable Energy Directive (RED2) equates to 11 million tonnes of oil, which would mean approximately 200 gasification plants in Europe alone. In addition to transport fuels, the biomass gasification technique can be used to produce renewable raw materials to replace oil and natural gas in various chemical industry processes. Synthesis gas applications, on the other hand, could help in the attainment of several circular economy goals, such as close-loop recycling of plastics and other packaging materials. The development of gasification technology is set to continue through two EU Horizon 2020 projects coordinated by VTT. 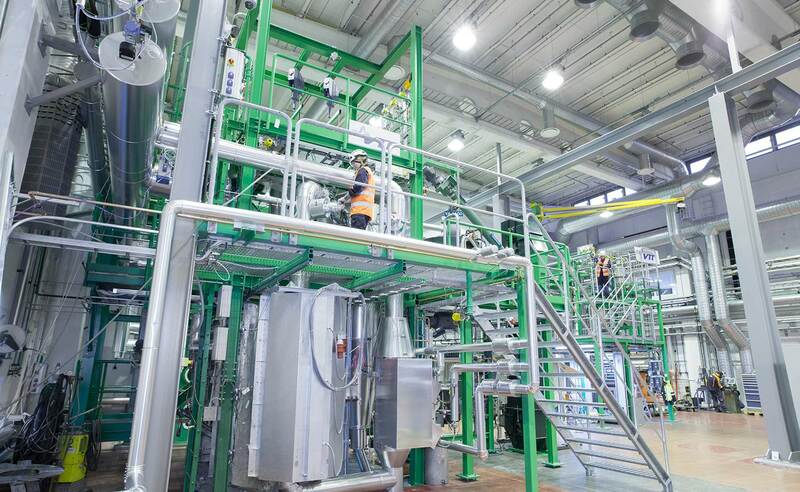 The projects focus on gas purification and increasing the efficiency of synthesis technology and aim to demonstrate the performance of the entire biofuel chain at VTT’s Bioruukki piloting centre in Espoo, Finland. Another solution under development is a flexible hybrid process based on biomass and solar and wind energy, which can either be run on just biomass or be boosted with electrolysis. This provides an efficient way to store solar or wind energy as a renewable fuel and could as much as double the renewable fuel output of the biomass sources available.